Animal, vegetable or mineral? You never know what might make it into a production of Barrel of Monkeys' That's Weird, Grandma. Anything is possible because the authors will be 3rd, 4th and 5th graders in the creative writing workshops led by actor-educators in Chicago Public Schools around the city. 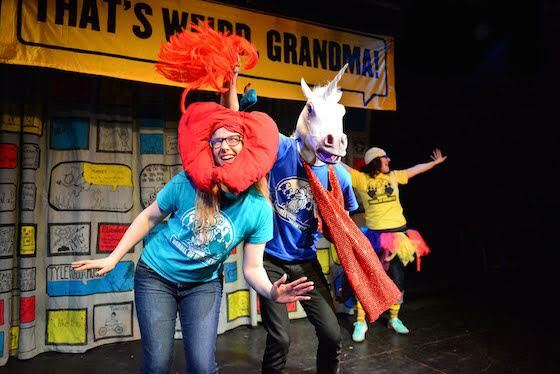 The stories produced at That's Weird, Grandma are written by kids for kids (and adapted to be performed by kids at heart) to allow everyone to enjoy clever sketches that truly entertain. Starting at 6:15 tonight, That's Weird, Grandma begins its neighborhood tour through Chicago Park District's Night Out in the Parks. The Night out in the Parks series has provided more than 1,000 events and programs at over 250 community parks throughout the city each summer for the past two years. Now, Night Out in the Parks will host productions ranging from movies, traditional performances, community workshops, concerts and more. CPD partners with more than 80 arts and community organizations to succeed in this initiative supported by Mayor Rahm Emanuel. All productions are located in Chicago Parks and are free to the public. 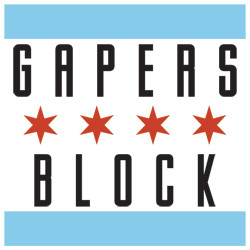 Friday, June 19 at 6:15pm--Union Park, 1501 W. Randolph St.
Friday, July 17 at 6:15pm--Nichols Park, 1355 E. 53rd St.
Thursday, August 6 at 6:15pm--Gladstone Park, 5421 N. Menard Ave. The tour continues as the creative arts education theater ensemble (Barrel of Monkeys) is providing more productions of That's Weird, Grandma at various theaters around Chicago. 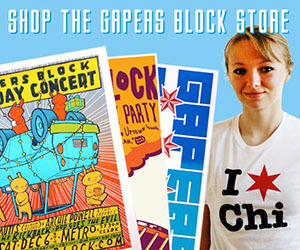 Shows at Stage 773 in Lakeview sell for $12 for adult and $6 for children under 12 and can be bought at www.stage773.com, by calling 773-327-5252, or in person at the Stage 773 box office. That's Weird, Grandma dates at Stage 773 are at 2pm on Saturdays, June 27, August 1, August 29 and September 26. Barrel of Monkeys' talented actors will also perform at their home location over the summer regularly at 8pm on Mondays through September 7 at the Neo-Futurist Theater, 5153 N. Ashland Ave. Tickets sell for $12 for adults and $6 for children under 12 and can be found at www.barrelofmonkeys.org or by calling 312-209-1954. The neighborhood tour extends further into the fall in Jefferson Park at the Chicago Fringe Festival in September. This event unites performing artists of all styles to show off their "weird" in a place where they will not be judged. It takes place September 3-13. Although performance times have yet to be announced, tickets will be $10 and will be available shortly at www.chicagofringe.org. Having begun in 1997, Barrel of Monkeys presents the work of the more than 8,000 lower-income elementary students who have participated in their workshops. Each year, they give young students the chance to express themselves creatively, build literacy skills and provide students confidence and worth in their own ideas. That's Weird, Grandma has more than 300 stories written by students annually performed in schools and 175 stories that are used for the general public. So whether it's out at the parks or at a theater around the city, check out the next unique production of That's Weird, Grandma. Maybe this time, airplanes, aliens and anarchy will lead to laughter, crying or just saying "Awwww."